You’ll discover tales of an undercover operative in Casablanca, a safari guide in the Serengeti, students on holiday in Morocco, time-traveling agents in Tripoli, vengeance in Algeria, and deadly secrets in Carthage. Each of these stories will captivate you with love, danger, intrigue, and excitement. What better way to Escape? The Pirate’s Lady is a time-travel romance about Amanda Hoskip, a Time Travel Bureau agent, intent on discovering who is tampering with time. But when she’s captured, she must pretend to be the wife of fellow agent and rescuer, Trevor Haines, which seems impossible because he thinks she’s failed her mission. 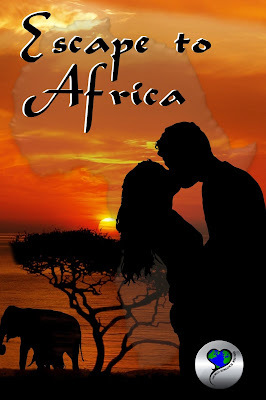 To avoid purgatory, unloving and unlovable Autumn Baines is sent to the Serengeti where she must perform a selfless deed, and find someone to fall in love with her. What she didn't count on was falling in love herself, or that her selfless deed could save a life, but sentence Autumn to eternal damnation.